Chelsea have experienced a whirlwind summer from the managerial debacle to the current uncertainty over the future of several key players. 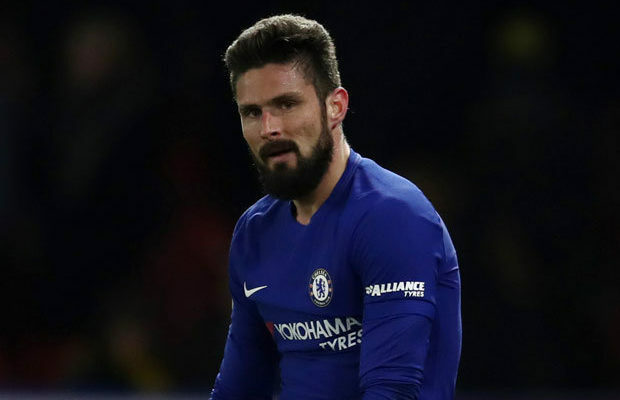 One of the players linked to an exit from Chelsea Olivier Giroud has expressed his wish to remain at the club this season. Giroud had been linked to a return to France as reports had suggested that the 31-year-old was mulling over a contract from Olympique Marseille. However, Olivier Giroud has refuted all claims to such news on social media Twitter. Giroud faces an uncertain future under Sarri despite leading the front line in France World Cup triumph in Russia. Many within Chelsea believe that Giroud is an awkward fit to the brand of football expected to be implemented by Sarri. Giroud is more of a target man with little mobility unlike complete forwards Sarri has employed in his previous clubs. Also, the presence of Morata and Bashuayi gives the Italian tactician different options to the French man as regards the focal point of the attack. However, Giroud in an interview with tabloid Le Dauphine was defiant claiming that many reports carried about him was untrue. He also expressed his satisfaction with his current club(Chelsea)while hinting that he intends to carry on with the national team for a little longer. “In the near future, my goal isn’t to return to France. For now, I’m a Chelsea player. Chelsea fans would be happy for the French star to remain at the club as he was pivotal in the FA Cup winning run last season.